The American military helicopter that crashed in Iraq Thursday hit a power line, U.S. officials said today, killing all seven airmen on board. “This tragedy reminds us of the risks our men and women face every day in service of our nations,” Brig. Gen. Jonathan Braga, director of operations, Combined Joint Task Force-Operation Inherent Resolve, said in a coalition statement. 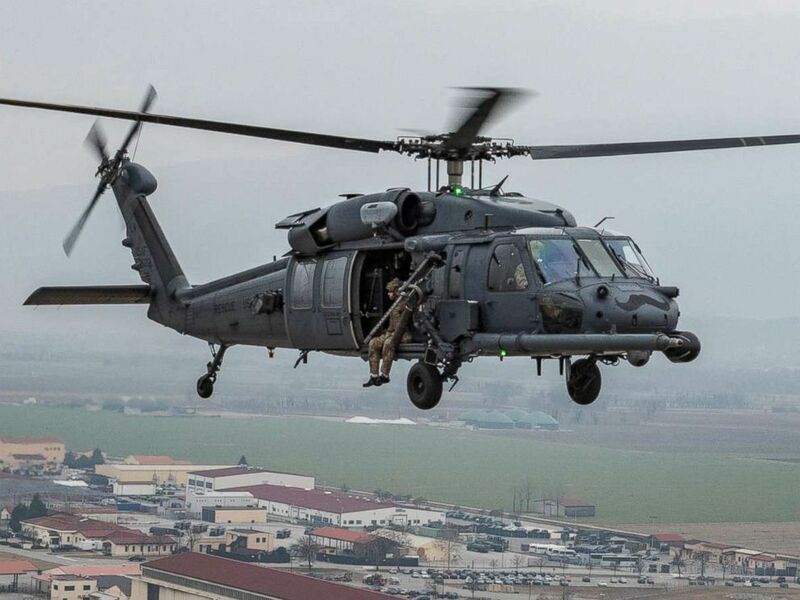 The HH-60 Pave Hawk crashed after striking a power line, a U.S. official told ABC News, an assessment made by the crew of a U.S. helicopter accompanying the HH-60. The investigation is ongoing and has not ruled out other factors but there are no signs of hostile fire, officials said. The names of the victims have not been released, pending notification of relatives. The aircraft went down near al Qaim in western Anbar Province. It's believed to be the first fatalhelicopter crash in Iraq since the U.S. began fighting ISIS there in 2014. The incident occurs as the U.S. is shifting personnel and resources out of Iraq and into Afghanistan, as the war against ISIS in Iraq has wound down in recent months. Two Americans have lost their lives in Iraq this year in non-combat related incidents. There are approximately 5,262 U.S. service members in Iraq, according tothe Pentagon.